I’ve had my eyes on this keyboard for some time since I wanted a better input method for my iPad. The K480 is great as it let’s you pair up to 3 devices, which means I can have it ‘connected’ to my iPad, my iPhone and my Mac at the same time. 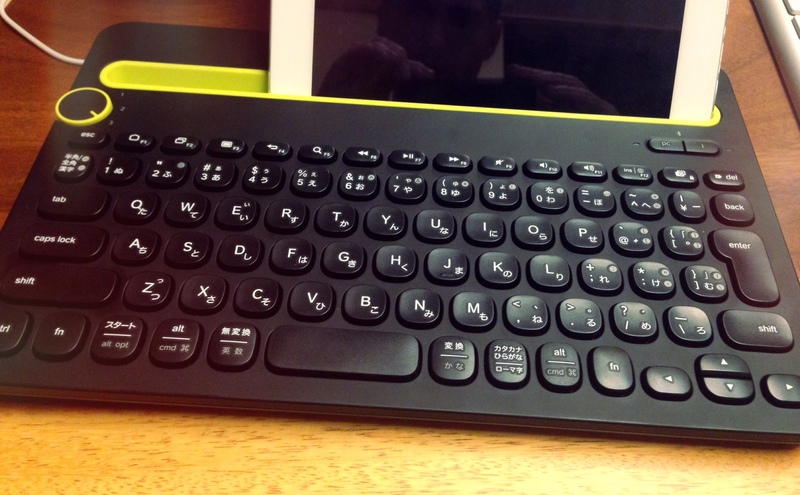 An added benefit of purchasing it here in Japan is that I also got the Japanese keyboard arrangement. The only downside I see after using it for a couple of days is that the iDevices wont respond to arrow key strokes outside of input fields, which means you can’t scroll webpages or the home screen. I minor problem perhaps but still a bit annoying. This book is part of Apple’s Pro Training Series, and is certified by Apple as part of their official certification program. This is important because it means you can expect a certain level of quality and accuracy in the material, and the book certainly does not let you down. It takes the form of a series of lessons which all work out like tutorials complete with all the necessary content. The book starts off with a tour of the UI and leads you through all the major ‘features’ and workflows (think mixing, arranging, editing, working with Midi and Audio files, setting up instruments and so on). It’s a beautiful, full color book with a very well paced and pedagogical language that requires basically no prior knowledge of Logic, though it does assume you are familiar with the basic concepts of audio editing and production. 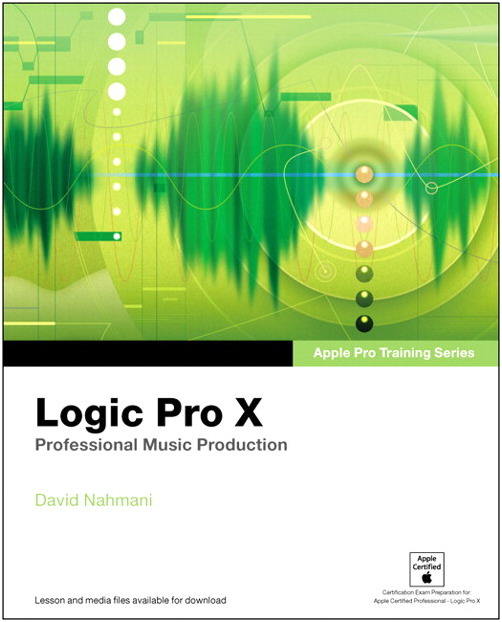 I highly recommend it to anyone interested in learning more about the depths and capabilities of Logic Pro X, and especially to anyone making the jump from another DAW to Logic. The lessons are just about long enough (60 to 90 min )to check off one a day, which means you’ll work through the entire book in about 10 days. Read more about why I decided to move over to Logic here. The main computer in my home studie is an iMac that I bought back in mid 2011. It has served me really well and is actually still holding its ground on simple tasks like browsing and emailing. However, trouble started about a year ago when I decided to upgrade my software catalog (mainly Maschine and Live) and also to try out Cubase and Logic. Turns out that my old iMac was not up to par anymore and could no longer handle much of the new software I tried to run on it. Since then my productivity has actually been pretty low since Live and Maschine kept crashing due to memory and CPU not keeping up, and Logic kept dying since the disk was not fast enough. Tired of dealing with this I decided to buy a new Mac, and given that I expect this types of investment to last for a while, I aimed high and pulled the trigger on a pimped out Mac Pro. It’s not top of the line, but I got the 6 core, 16GB, 512Gb version. Hopefully this will keep up with developments over the next 3-4 years at least. 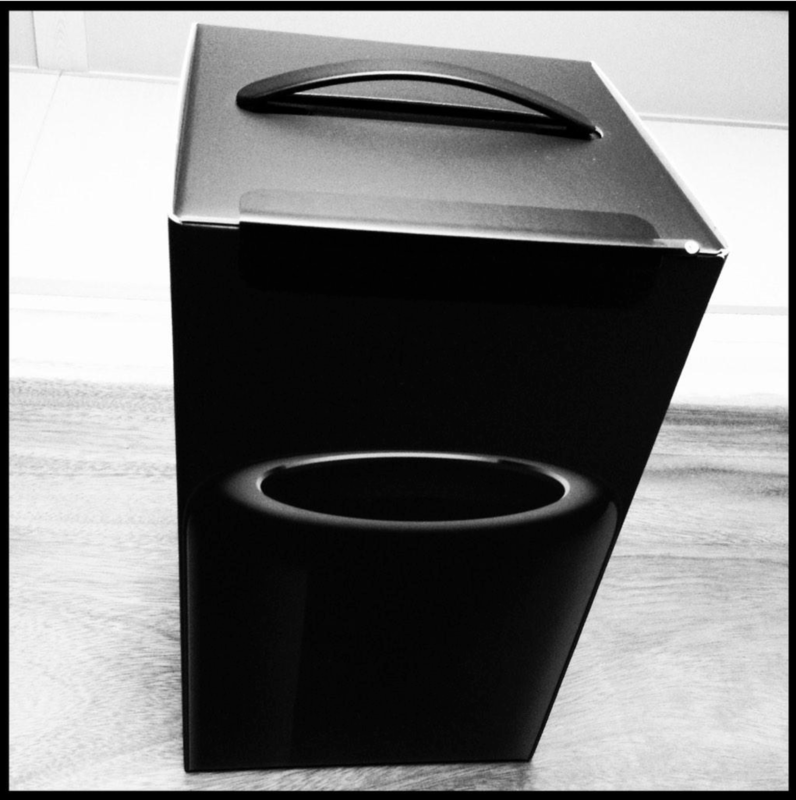 What are your thoughts on the new Mac Pro? Have you made the jump? Are you thinking about it? Leave a comment and let’s discuss.